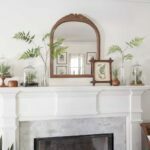 As we gear up for summer and take a rest from the rigors of the One Room Challenge, (A whirl wind makeover challenge where design bloggers commit to making over a space in 5 short weeks hosted by Linda at Calling it Home.) 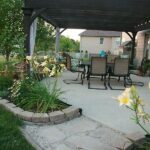 I thought it would be a great resource to gather all the inspiring patio makeovers and outdoor spaces completed for the challenge into one place. 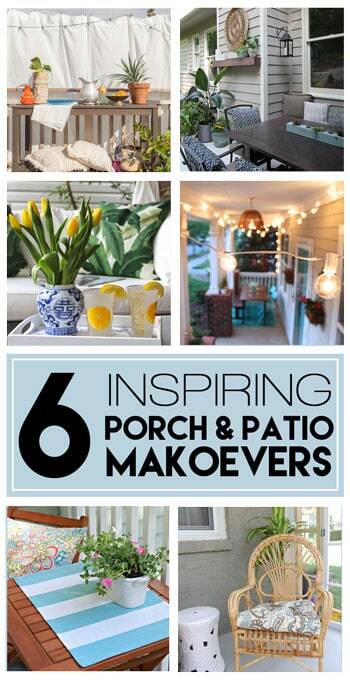 Now, get ready to be inspired by the many creative vignettes and ideas these amazing bloggers used to makeover their outdoor porch and patio spaces. Some people are really looking at outdoor patio club chairs with a keen interest and who can blame them? 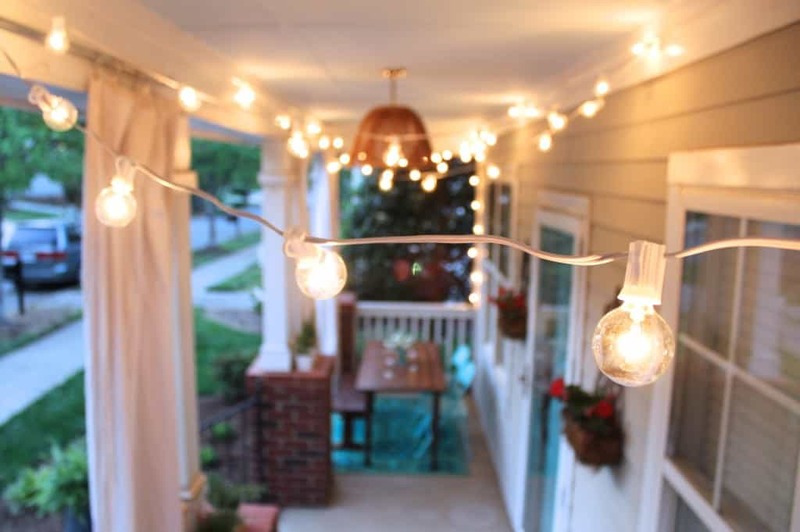 You are sure to find some nugget of inspiration to create your own outdoor oasis this summer! 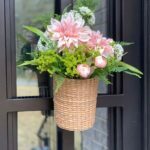 If you’ve been around my blog recently, you may have already gotten a look at my porch and patio makeover. If not, I welcome you to explore every nook and cranny by clicking on the images below. 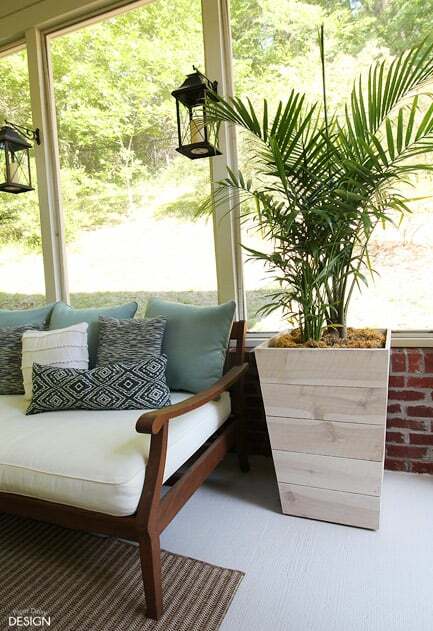 Or check out the posts related to the makeover like the DIY Modern Trapezoid Planters. 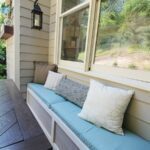 There’s also a little giveaway going on to help you build your own Easy Outdoor Banquette/Bench. 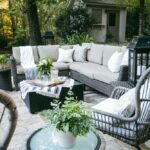 Each blogger shares her unique style and secrets for creating outdoor spaces on her blog, so be sure to click through to get all the details and “Pin” their ideas. 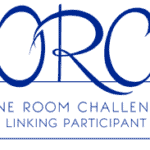 Click on the photo to go directly to their site for the full details of the makeover. 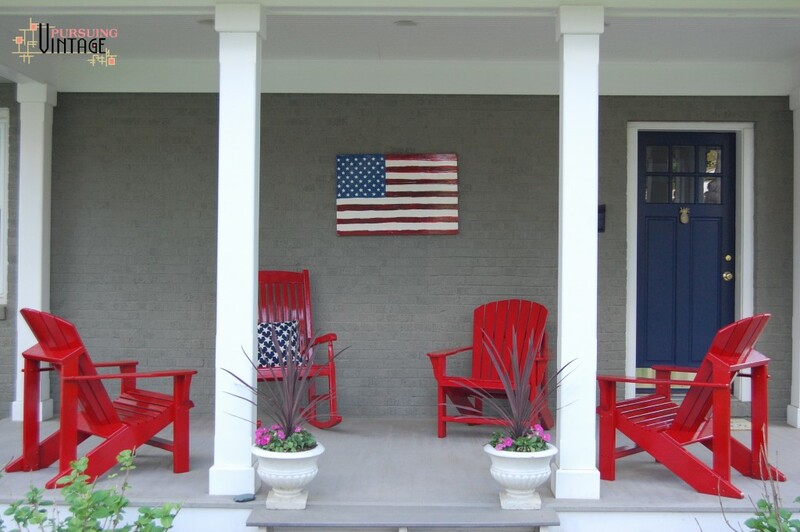 Summer, at Simple Stylings used her skills to makeover her front porch. I just love that she set it up for the ultimate outdoor dining experience. Wouldn’t you love to join her for dinner out here? So many great little touches here, be sure to see them all by clicking through the photos. Interior Decorator, Lesley Metcalfe created a Ralph Lauren-style resort-inspired look on the front porch of her home. Be sure to click through her photos to see her amazing transformation. Kristen from Pursuing Vintage made over both her screened porch and her back porch, as well as spruced up her front stoop. Her back porch is the entrance most used by friends and family. What a patriotic welcome! 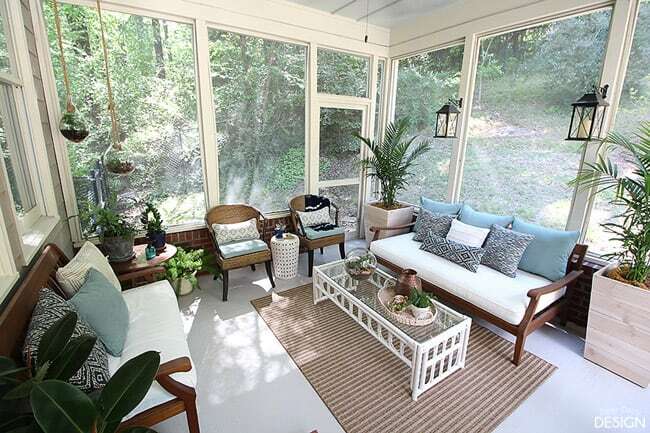 Her screen porch became a charming retreat with the amazing vintage rattan furniture find! Lucky girl! 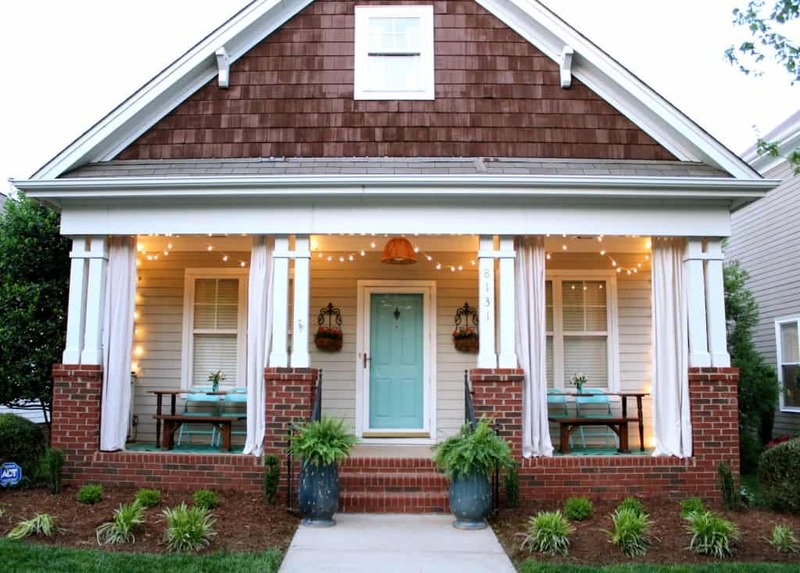 You won’t want to miss peering into this porch. Click on her photos for more of her charming details. 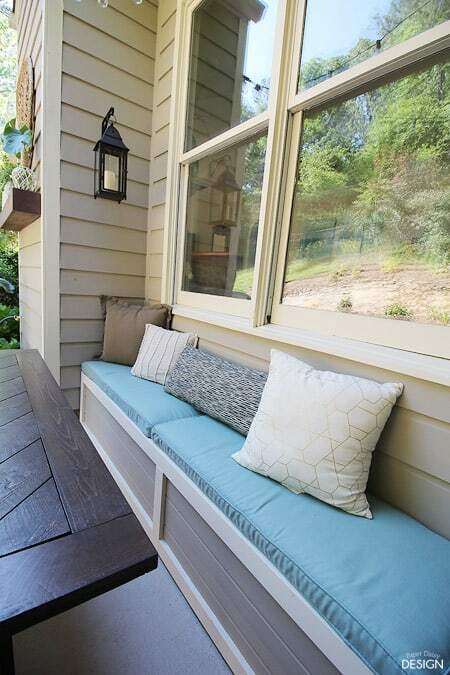 I also love the California vibe of this deck designed by Katie from Katie Gavin Interiors. Her San Francisco Urban Oasis is tranquil, yet so very hip. Ah, to live in a place where the outside is as pleasant as the inside throughout the year. 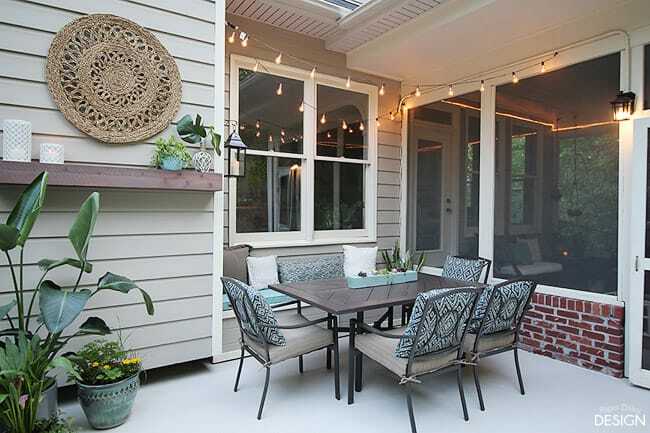 Be sure click on the photos to see her outdoor dining area as well. And Sarah from the blog 702 Park Project is in the process of renovating her family heirloom of a home, built in 1902. She’s lucky enough to have two grand porches reminiscent of Charleston, South Carolina. 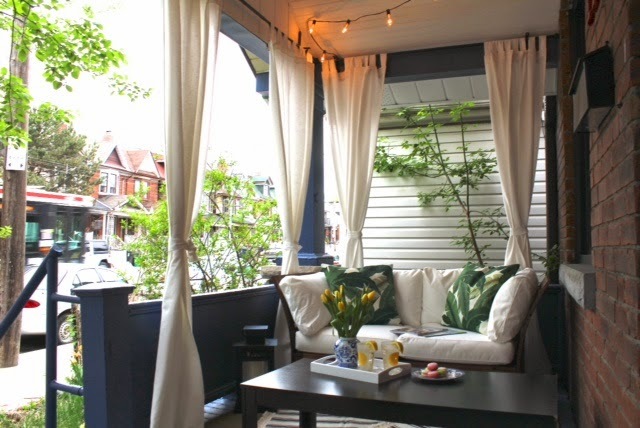 This porch, her downstairs, backdoor porch came to life with this cute bistro set and bright pillows. 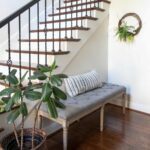 Upstairs, the spacious porch allowed her to create a cozy conversation area. Be sure to click on the photos. Her copper porch caps are worthy of a closer look. So glad you stopped in! I wish more people would take the time to slow down and chat a while on a porch. 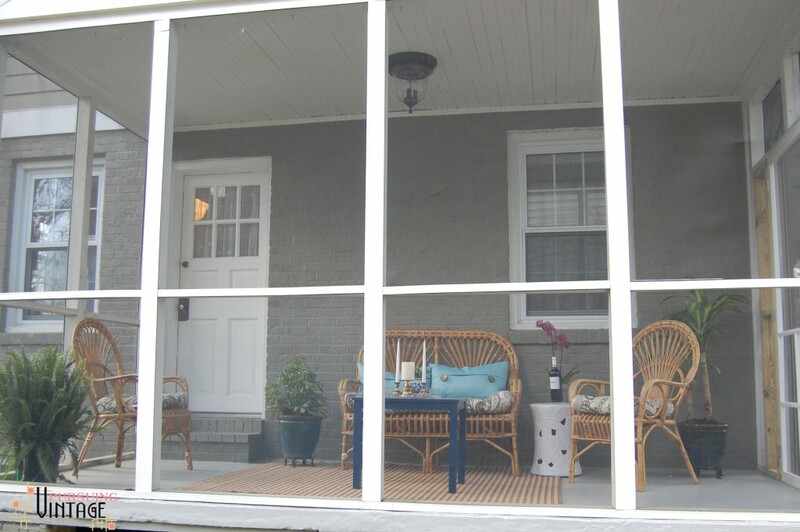 Porches and patios were created to beckon you outside. While they are fantastic places to relax with a book, they also can become inviting extensions of our home, perfect for enjoying the summer with friends and family. Be sure to follow me using your favorite social media or subscribe to my blog. While my outdoor spaces appear to be complete, we’ve got a few more projects up our sleeves this summer. You won’t want to miss what’s coming next! 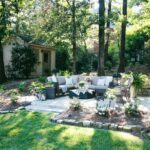 Subscribe to my blog and don’t miss the continuation of this outdoor makeover. If you want to know more about the One Room Challenge and tour the other amazing room makeovers, check out this main link here. I was lucky enough to be a part of the 140 other linking participants and you can check out all of those tours here. Thanks so much for sharing my front porch Leslie! Such a great roundup! 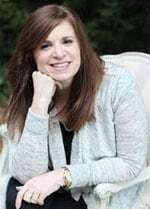 Thanks so much for including my porches! What a great round up of spaces! I’d love to lounge in any of them!